When I left hospital at the age of 21, I would have described myself as 75% recovered from my eating disorder. This is a bit like deciding to go to Barcelona for a holiday, getting 75% of the way there (on a Ryanair flight, obvs) and then deciding you might as well set up camp wherever you landed because it’s too much hard work to embark on the final leg of the journey. Me: But I’m 75% of the way there! Rest of the World: But you’re still not in Barcelona, dumbass. I then decided to do what any self respecting person with body image issues should do – find a career in fashion! No seriously, that’s what I decided to do. I arrived in New York City in September 2010 with two suitcases full of clothes, an interview with a fashion magazine, and my trusty weighing scales. One should never leave home without one, darlink. By some miracle, I managed to procure an internship, and, after my first day I arrived home exhausted and hungry, which was to become my default setting for the next few months. I felt slow, stupid, like I wasn’t picking it up fast enough, that everyone else I was working with was beautiful and thin and perfectly dressed, and where did she get those shoes, maybe if I got a pair of shoes like that, I’d feel OK. I checked the weighing scales. Yup, I’d lost a few pounds. That day I decided to make my oatmeal with water instead of milk. I lost another couple of pounds. You know what? I don’t really need that slice of rye bread with my lunch. Or avocado in my salad. Or dressing. Another pound. You know, it’s just so late by the time I finish work, and I really hate eating late at night, honestly, so I think I’ll just start having a grapefruit instead of dinner. If we were on set, I’d make a performance of eating a big meal at craft services, basking in the cries of Oh my god, how do you eat like that and still say so thin, not mentioning the fact that I probably wouldn’t eat solids for two days after. By the time I went home for Christmas I had lost 18lbs, showing off drainpipe limbs in the skinny jeans that I’d been given from the fashion closet because no one else could fit into them. I’m just really stressed, I told concerned friends, before excusing myself from the table to go and get rid of the five peanuts I’d eaten. You can come home if you want to, my parents said, never taking their eyes off me for the entire week I was home. If you’re not happy. If you’re stressed. If it’s all too much. Is fashion what you really want to do, my dad asked me, and I said no, no, I want to write. I shut my mouth as quickly as I could, unsure of where the words had come from, of what they signified. I was working for one of the biggest fashion magazines in the world. I was living in New York City. I was living the dream. It’s January. The subway has broken down due to poor weather conditions, and i’m sitting in a Starbucks nursing a (0 calorie!) green tea between mottled hands. I’m hungry. There’s a girl sitting next to me eating a muffin. I want a muffin. But I can’t have a muffin. If I have a muffin, I am weak. If I have a muffin, I’m bad. If I have a muffin, I’ll have to get rid of it afterwards and there’s only one toilet here, and a queue of people waiting to use it. I try and focus on my copy of Star or US Weekly or whatever crappy magazine I have in front of me, images of celebrities on their winter holidays in St Barth’s swimming before me, crude red circles drawn around their ‘problem areas.’ Suddenly an image flared in my mind. It was a classroom, rows of tiered seating facing a bald nun-like figure swathed in black robes, a single girl standing at the front of the room, shivering in her underwear. The ‘nun’ circled her, wielding a red pen like a blade, drawing circles of shame into her pale flesh while the rest of her classmates chanted fat, fat, fat, fat. I grabbed my notebook from my bag and started to write, pages and pages and pages of ideas pouring out of me, as if I was channelling it from some other power. After an hour or so, I stopped. I didn’t even re-read it, I just shoved the notebook back into my bag, pushing it down as far as it could go, so I couldn’t see it. So I wouldn’t have to think about what this meant. The lovely boyfriend came to visit me in New York in February for my birthday, which was a bit awkward, as he wanted to go out for meals and spend time with me, time I could have better used coming up with an extensive diet and exercise plan that would make me resemble Nicole Richie. Since I’m approximately nine inches taller than she is, I presume this would have involved amputation, but hey, my mama didn’t raise no quitter. I can’t do this anymore, he said, as he paid for yet another extremely expensive meal that he knew I wouldn’t keep down anyway. You have to get help.I heard the words, and I knew he was saying them, but I just couldn’t find it within myself to care. I started seeing a therapist, and a nutritionist, telling my incredibly gracious boss that I needed two mornings off a week because a ‘pre-existing condition’ had reared its ugly head. I told a few of my friends at work that I knew I was too thin (did such a thing exist, we all wondered) and that I was really trying to gain some weight. What are you talking about? One replied. But you’re, like, so perfect, another told me. The phone calls from Ireland intensified. We want you to come home, they told me, their voices getting higher and higher every time I spoke with them. They paid for a flight at Easter, just for a week. Blood tests, ECG, irregular heart activity. I’ll try, I lied, over and over and over again. I liked how I looked, how clean my body was, how I could count the bones. I promise I’ll do my best. I sat with family, choking down lovingly prepared meals, my blood feeling itchy with the need to get rid of it as fast as I could, to repent for my sins. The week, one that I had planned to spend with friends and family, had flown past in a blur of five mile walks, a dizzy smudge of low blood pressure, thinking up ever more outrageous excuses to avoid meals, frequent trips to the bathroom if I was unsuccessful. My mother was sitting at the kitchen table on the night I was due to go back to New York. -What are you talking about, mom? -I don’t know what you’re talking about. She didn’t cry, or yell. Her face was like a sheet of plastic had melted over it, blank, pale, and dead-eyed. -I didn’t… I don’t know what you’re on about. -Do you think I’m stupid? Stop lying to me. Just stop lying to me. Silence, a thickening of the air between us. -I promise, Mom. I promise, I’ll try harder. It’ll be different this time. She stood up, walked past me to go to bed. For the first time in my life, there was no hug or a kiss on the forehead. -I just don’t believe you anymore. Back in New York, I sat in the therapist’s office, and for the first time in years I cried. I wish I could say that it was a St. Paul on the road to Damascus type situation, that I felt instantly ‘cured’, that it was surprisingly easy after that. But I’d be lying, and I’ve done enough of that in my life. I’m not sure I can properly explain the irony of trying to recover from an eating disorder while working in an industry that fetishes extreme thinness, of the difficulty of trying to learn to nourish my body while being surrounded by countless young women who were damaging theirs, and paid good money to do so. I spent my days chatting about which model had gotten fat, which was following this new diet, which one was seen at the newest exercise class. We had to do a photo-shoot with a celebrity who wasn’t sample size, eliciting groans all around. It wasn’t particularly crueler than any other office, most of the women working there were kind, as well as talented, creative, passionate, and intelligent. But the clothes were what mattered the most, not the person wearing them, and fashion is all about what’s new, and exciting, and fresh. None of us believed that the photos would look as good if we couldn’t use the samples straight off the catwalks in Paris, Milan, New York and London – and we needed the models and celebrities to fit into those samples. Make sure to get to set early tomorrow, in case all the food is gone, was the joke when a particularly curvy woman was being featured in the magazine, and I could feel my stomach clench in fear. What if that’s me some day? What if I start eating normally and I gain more and more weight, and I’m the one they’re making fun of? Do you realise how messed up that is? My therapist kept telling me over and over again. She gave me books to read, The Beauty Myth, Eating in the light of the Moon, Backlash, Why Fat is a Feminist Issue; and we discussed them afterwards, trying to figure out how I could apply them in my life. They weren’t new messages, but they felt new, as if for the first time in my life I was beginning to understand what ‘being healthy’ could mean. The weight started to go on, re-forming on my bones like a new skin. I began to feel stronger, clearer, more present. And somewhere along the line, so slowly I barely even noticed it, the messages started to sink in, and I began to look at the environment in which I was in more critically. Why are women treated like commodities? I wrote in my diary. What does it matter if a model has gained five pounds? Why are a woman’s accomplishments seemingly irrelevant if not accompanied by a certain standard of beauty? Who is in charge of creating those standards? Was I helping to maintain them? Was that something I could continue to be a part of? I had a voice. I had opinions. I was worthy of being heard, no matter how much I weighed, or what I looked like. I dug out the notebook from January, took a deep breath, and re-read the scribbled notes containing a vague idea for a novel set in a dystopian world in which women are bred for beauty, where their physical attractiveness is their only value. Hmmmm, I thought to myself. Not bad. There might be something in this worth writing about after all. 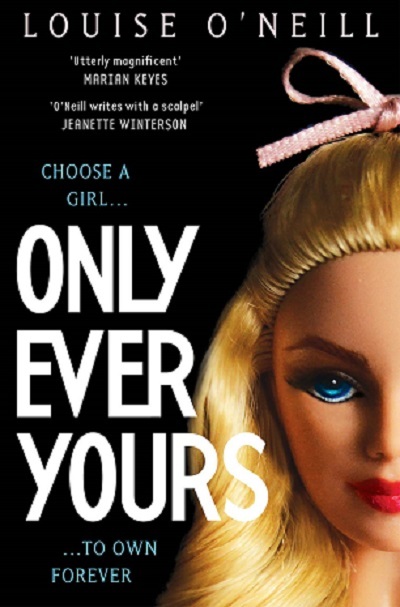 Louise O’Neill’s book ‘Only Ever Yours’ can be ordered from Waterstones here. 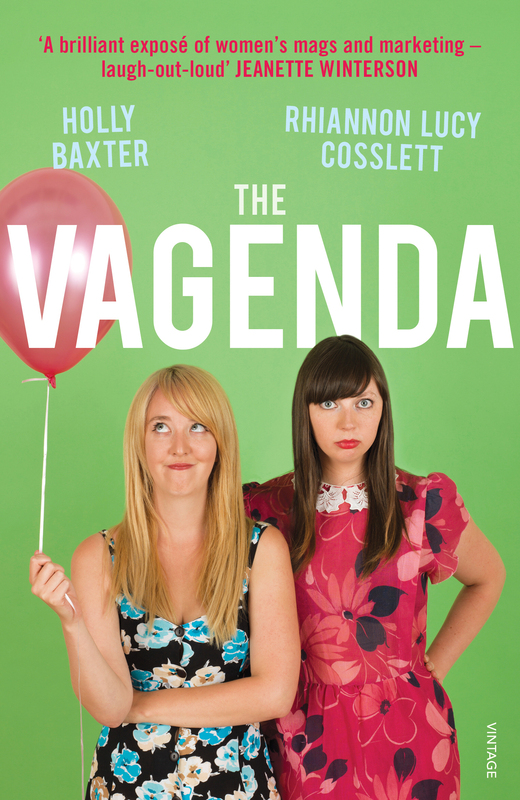 We loved it – it’s like a mix between Mean Girls and The Handmaid’s Tale. What a great article. Consider the book bought. Wonderful piece. Getting stuck into my copy of Only Ever Yours right now. Very well done on all you have achieved. Book arrived in the mail today. 90 pages in already and utterly obsessed with it. O’Neill has written something amazing! Go read it! This piece is so poignant. Thank you. Thank you for this post! The Beauty Myth and Fat is a Feminist Issue are what saved me from bulimia (and made me a feminist!). Looking forward to reading your book. Have just put this book on the reading list for my year 9s (all girls). It’s heartbreaking as a teacher to hear how much these wonderful young adults hate themselves because of a ‘double chin’, ‘big nose’ etc. Many of them already know what plastic surgery they will get when they are old enough. And we wonder why there are so few women in power – they’re all glued to a mirror somewhere wasting away their energy on self-hatred. Too busy wanting to change themselves to want to change the world around them. Too scared of raising their heads above the parapet for fear of the inevitable criticism. AAAAARGH! I love that she wrote the book, but let’s just talk about the cover. It has a barbie on it, and it kind of looks like it was meant for teenagers. Well either way I’m still going to read it, seems really good.